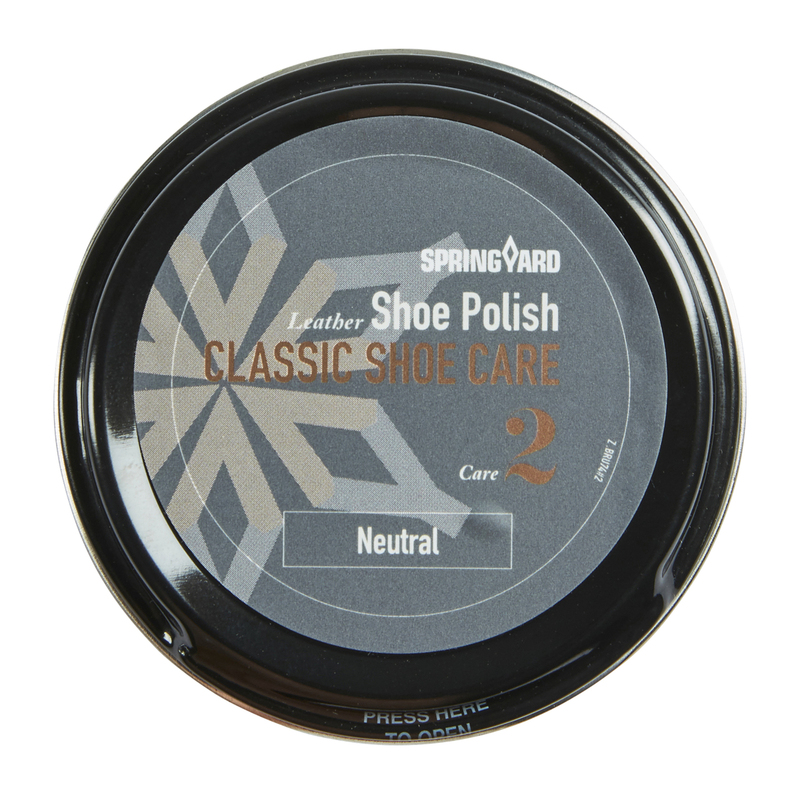 Shoe polish providing high gloss and care for smooth leather. Properties: Nourishes, protects, gives high gloss and prolong shoe life. Restores color. Directions for use: Apply a thin, even layer to clean, dry surface. Let dry. Buff to desired sheen with a clean cloth or brush. Repeat as necessary. Always test on inconspicuous area first. Other: This product contains a mixture of synthetic waxes and natural waxes such as carnauba wax from Palms leaves. The product is labeled as flammable due solvent.